This event is curated by our poet in residence Fiona Sampson. Ana Blandiana is a legendary figure in Romanian literature. She has recently been awarded the European Poet of Freedom Prize (2016) among her many honours. Ana Blandiana will read from My Native Land A4 and her new collection The Sun of Hereafter & Ebb of the Senses. Svetlana Cârstean is an acclaimed poet and journalist. 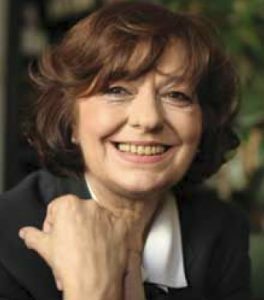 Magda Carneci is a poet, essayist and art historian who has published numerous books of poetry.